Thankfully, much has been written about the Rise of the Chief Marketing Technologist and while a lot what Scott Brinker wrote about in 2014 seems obvious in 2018, it certainly wasn’t obvious back in 2010 when I first got into MarTech. I wasn’t trained in marketing nor had I spent any time in marketing other than from the consumer side of things. I’m a computer scientist by trade and spent a full decade coding and building enterprise software before I even knew what pay-per-click was (full disclosure: I thought it was paper-clip… please tell me I’m not the only one who thought that!). 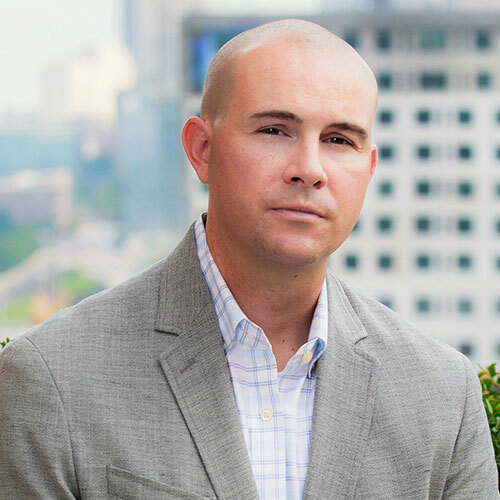 Scott writes extensively on this topic, so as an engineer-first, marketer-second, I’ve always found this a refreshing topic because marketing technology was so dissimilar to other platforms and ecosystems I’ve worked in throughout my career. Also, it’s not surprising that Scott is a computer scientist with degrees from Columbia, Harvard and MIT (or what we call the Georgia Tech of the North), so it is no wonder his perspective resonates with me. My good friend, and fellow Yellow Jacket, Anand Thaker recently detailed the role of Chief Marketing Technologist laying out 11 Habits of Highly Effective Marketing Technologists. So, picking up where he left off, I’m going to add a 12th habit for highly effective marketing technologists: The ability to master both technologist perspectives. The chief marketing technologist will be working with two types of people: those that are marketers by trade and those that are engineers by trade. Anyone who can seamlessly walk between these two groups and see both perspectives will master the chief marketing technologist role. Falling squarely in the second group, here are a few observations I’ve made that, I hope, can give perspective to any aspiring Chief Marketing Technologist. And if any readers also fall into the second group of engineering-first marketing technologists, please let me know and share your thoughts on Twitter. This is a long one, so let’s dive in! By our current count, there are close to 7,000 different MarTech tools out there and I’ll wager that at least 90% of them are in some way shape or form SaaS. They are relatively cheap, have a monthly recurring fee, are easy to set up and get started, and solve some meaningful (or not so meaningful) pain point your team has. Simple right? News flash: Marketing stacks are larger than you think. The average company uses between 30 and 90 different tools in their stack. You put all those tools and services together and it is no longer easy or cheap. In fact, it is quite the opposite. The MarTech stack is now highly connected to several teams across the organization. Marketing is connected to Sales and IT and Operations and Customer Success and well, what isn’t it connected to? Surprise! It’s no longer SaaS, it’s Enterprise. As a veteran of enterprise software development, I like to think if it looks like a duck, swims like a duck, and quacks like a duck, then it’s probably enterprise software. The difference with MarTech, it seemed to me, was that marketers didn’t know they were actually buying enterprise software. So what can we do about it? Act like a dev team. So the question is: After the campaigns launched, are we done? Who is minding the store? Who or what is monitoring the data, the integrations, the tracking, the updates? We have a lot of tools to manage, so what’s the process? We can turn to software development teams here for guidance. Modern marketing campaigns and MarTech implementations start to look and behave a lot like modern software development and deployment. Lots of moving parts, lots of changes, lots of critical systems, and a lot of risk to manage. 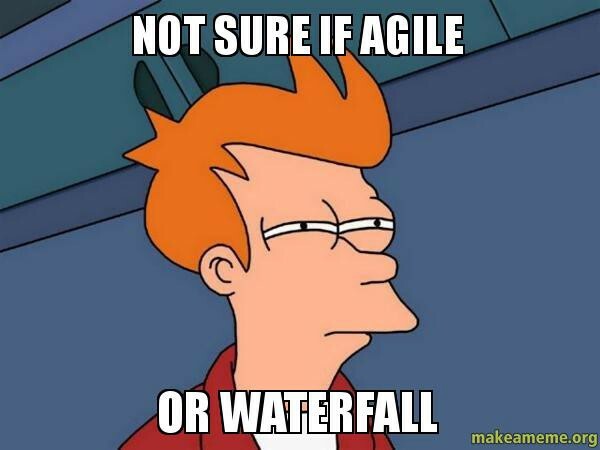 If you are familiar with software development you’ll quick realize that today’s marketing campaigns are not waterfalls, they are agile! The analogy is apt. Traditional marketing campaigns are implemented much like software was developed pre-internet: waterfall. They are linear and rigid, requiring lots of up front planning and designed to a fixed spec that resists change downstream (down the waterfall). Thankfully, marketing technologists are bringing new perspective. Marketing teams are finally adapting to the needs of multi-channel and omni-channel marketing. Chiefmartec.com has several good articles here about agile marketing. So with that, let’s take a page from today’s dev teams to consider ideas marketing teams can incorporate into their process. One of the core tenets of agile development is emphasizing responding to change over following a plan. If there is anything I’ve learned from building MarTech and managing marketing campaigns, it’s that things always change. Even the best planned campaigns need adaptation immediately after launch. Why? Marketing is just like any other market. There are external forces that marketers have no control of, let alone visibility into, impacting their campaigns instantly. Factors like new competition, algorithm changes, virality and seasonality. Making matters more confusing there are internal forces that need to be accounted for as well. What about the bugs, the oversights, the mistakes, does our process account for that? Stand-ups: Are your teams meeting daily? Or are they wasting hours and hours once a week in marketing meetings? Try stand-ups. They are fast and actionable. What is progressing? What obstacles are impeding progress? Where do you need help? What will we do today? Sprints: What’s a sprint? Usually a sprint is a 2-week development effort. It helps teams break down work into manageable, testable, deliverable, increments. Can we break down our marketing calendars into sprints? I bet we can. Retrospectives: What worked and what didn’t? Are we taking the time to review our marketing campaigns to examine what worked and what didn’t or are we just running reports and making power points for the client? This is part of continuous improvement and is something we could use more of in marketing. If marketing technologists are the bridge between Marketing and IT, let’s consider another bridge: DevOps. DevOps acts as the bridge between software developers and IT, so it is logical that we should borrow from DevOps as we think about marketing operations (MarOps?). Continuous Delivery, and closely related concepts of Continuous Integration and Continuous Deployment, is a software engineering approach in which teams produce software in short cycles. It aims at building, testing, and releasing software with greater speed and frequency. The approach helps reduce the cost, time, and risk of delivering changes by allowing for more incremental updates to applications in production. When taken together, these concepts are what enable iterative and frequent changes to software so that the optimal product is always live in production. This starts to sounds a lot like marketing automation, but is it? I think it is close. Marketing automation definitely takes into account high frequency and rules-based testing and triggers, but MA operates in a relatively fixed scope and strategy. MA isn’t really designed to incorporate changes, adapt to problems, or react to external forces. While MA is great because it helps us automate a predefined strategy, but once MA is set up we kind of set-it-and-forget-it right? I think what is missing is the next and final topic: Application Performance Management. There is great symmetry there with marketing. Just as applications became increasingly difficult to manage as they became highly distributed and multi-tiered, so have marketing campaigns as they have become highly fragmented and multi-channeled. 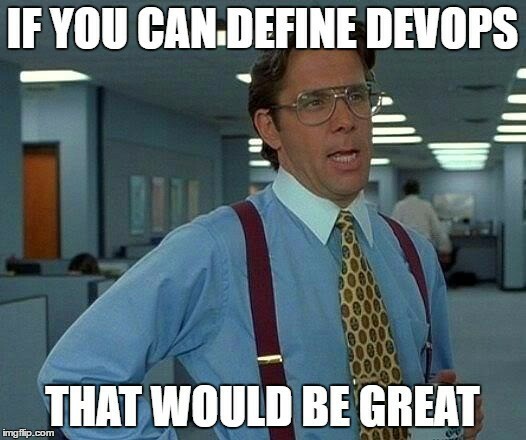 So again, what can we learn from DevOps? How are we monitoring marketing metrics that matter and translating them into business meaning? And what happens when metrics change unexpectedly? What happens when things don’t go according to plan? We need tools and processes that react and respond to change rather than merely sticking to, or automating, the plan. It is in this area that we are devoting our time and effort here at Eletype. Even though marketing is awash with tools, there appears to be a missing category here: Marketing Performance Management or MarOps. We sum up our mission like this: We are here to cover your ads. And we are approaching our mission in a manner that recognizes the existing MarTech fragmentation and attempts to improve it (or at least not contribute to it) by using collaborative tools like Slack as our primary delivery mechanism so we can deliver value seamlessly via the existing tools your team is already using. In hindsight it seems obvious that 3 engineers would pick Slack. After all, Slack has its roots in Agile and DevOps, we are just bringing it to marketing. What other things can MarTech learn from DevOps and Agile? Share your thoughts, let us know! © 2019 Eletype | All Rights Reserved.